Regina is an Irish harper, singer, and dancer. She plays traditional Irish music on the harp and sings in Irish and English. Regina sings in the sean nos style (ornamented and unaccompanied) and also accompanies herself on the harp. In the United States, Regina has studied Irish harping with Aine Minogue, and Maeve Gilchrist and in Ireland with Janet Harbison and the Belfast Harp Orchestra. Comhaltas Ceoltoiri Eireann awarded Regina a scholarship to study the harp in Ireland as part of their Living Traditions Award. At her first appearance at the New Hampshire Highland Games, Regina placed first in the senior novice division. In 2003, Regina qualified for the All Ireland Fleadh (competition) in Harp and Vocals. Regina performs hard and soft shoe step dancing, ceili and set dancing. She teaches ceili dancing in schools as part of her Artist in Residence work and calls the dances at local ceili dances. She has competed with the Rince Cois Fharraige Irish Dance Academy in Salem, Massachusetts, and has taught ceili, set and step at the Murray Irish Dance Academy in Stratham, NH. In 1998, Regina released her first CD entitled Geis, collections of Irish ballads and tunes. 2001 brought the release of "Nollaig", a CD of Irish Christmas music, song, dance and story that Regina produced along with Claudia Altemus - her partner in the duo "Réagánta". Regina is prominently featured on a compilation 2003 CD produced by the New Hampshire Council on the Arts, titled "Songs of the Season". 2004 brought the release of her second solo CD titled "From These Hands". This CD is a collection of Traditional Irish harp tunes, songs and duos with Claudia Altemus, Rodney Miller, Eugene Durkee, Mike Serpa, Bill Thomas, and her sisters and daughter. Réagánta released their newest CD titled 'Cup o' Tea' in March 2009. 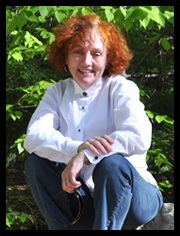 Regina founded and directs The New England Irish Harp Orchestra, which was founded in 2005. The Orchestra has released a CD titled "Live at the Portsmouth Athenaeum" and a Christmas CD titled "The First Star" which was released in 2010. Invited as a participant, Regina performed harping, singing and dancing at the Smithsonian Folklife Festival June 1999. At the festival, which draws over one million visitors, Regina also taught ceili dancing, gave a cooking demonstration about Irish soda bread and taught Irish crafts and dance at the children's tent. She repeated these performances at the Celebrate New Hampshire Culture Festival in Hopkinton NH in June 2000. As an artist on the NH State Council on the Arts roster and the MaineArts Commission, Regina performs and teaches in schools throughout the state. 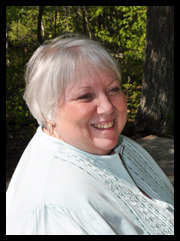 In the classroom, she introduces students to Irish poetry, music, song, dance, history, and literature. 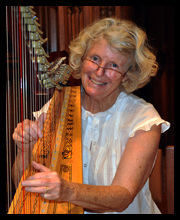 From her home, Regina teaches the harp to students of all ages, along with teaching harp for the Comhaltas Ceoltoiri Eireann music school and Philips Exeter Academy. Regina is a member of the Hanafin-Cooley branch of the Comhaltas Coeltoiri Eireann. One of my dreams for many, many years had been to have the opportunity to make music with others. Anyone who's heard me sing would know that a chorus wouldn't do and that it would definitely have to be an instrument! My lessons began shortly after, nearly 4 years ago at the ripe old age of 60 something, and I first played with the group after 12 lessons. Regina's good humor and encouragement and the camaraderie of the orchestra have made lessons and rehearsals my dream come true! Wife, mother, retired school nurse. I followed a dream to play a harp in 2007 by taking lessons with Regina Delaney. I wished to learn more about my Scot-Irish ancestry through music. I play at our farm for family, friends, and animals, and love hearing the gentle, peaceful sounds in the house, across the hayfields, gardens, and forests. I am so proud to play with NEIHO. Thank you Regina and NEIHO members for your help and friendship, and thanks to my family for their encouragement. I spent my childhood years singing in the church and Irish step dancing my way into the hearts of every Irish Catholic parent. By high school I traded my gillys (dancing shoes) for a folk guitar and thought myself as the next Joan Baez. Years later, my son thought I missed the step dancing and signed me up to perform with a group of dancers from Salem, MA. I met Regina during those years of step dancing and out went the shoes and I bought myself a harp in 2003. I've been studying with Regina since then and attending harp workshops with some of the most amazing musicians in the business. It's a pleasure to play with such dedicated musicians in NEIHO. Following his experiences as a pianist and bell tower Chimesmaster, Raymond has found that the harp, curiously, has proven to be his most portable instrument. 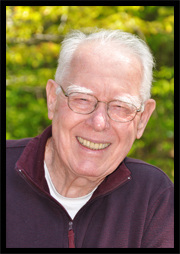 Being part of NEIHO has given Raymond the opportunity to write and arrange pieces, and his other responsibilities with the Orchestra include putting the arrangements into digital notation, working on the NEIHO website, and keeping the Orchestra members from speeding up too much during rehearsals. Having crossed "learn to play the harp" off his bucket list, he can now pay attention to some of the other items there, including "visit each continent", "produce a comic book", and "learn to dance the Argentine Tango". My introduction to the Celtic Harp started with my oldest daughter, when she asked be to build her a harp. I knew nothing about building harps, but being a Marine and woodworker, I said "sure, why not". I found plans, and built her one. As I was tuning it, I became intrigued with the pleasant sounds and I decided to build one for myself. It turned out to be too small for me, so I built another one. I was becoming addicted to building harps... I've built five now! I asked the local Classical harp teacher if she would be interested in taking on an 81 year old student. She looked away for a moment, and then turned back with a controlled smile and said, "well, why not". She then decided that I might like studying with Regina Delaney. That's when I got involved with The Orchestra... such a wonderful group, and I have been blessed to be a part of them.